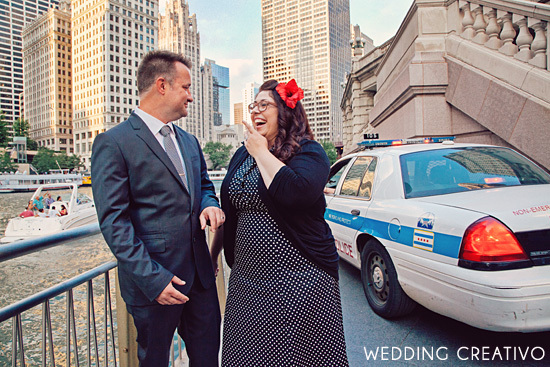 In September, Suki and Tony traveled to us from Omaha, Nebraska for their destination elopement in downtown Chicago. 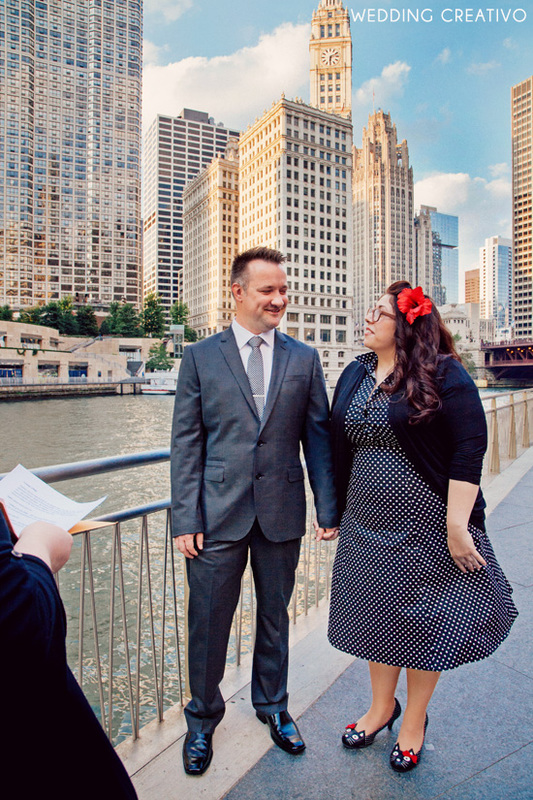 This creative couple had an adorable vintage 1950s style for their sunset ceremony and portraits along Chicago's Riverwalk. 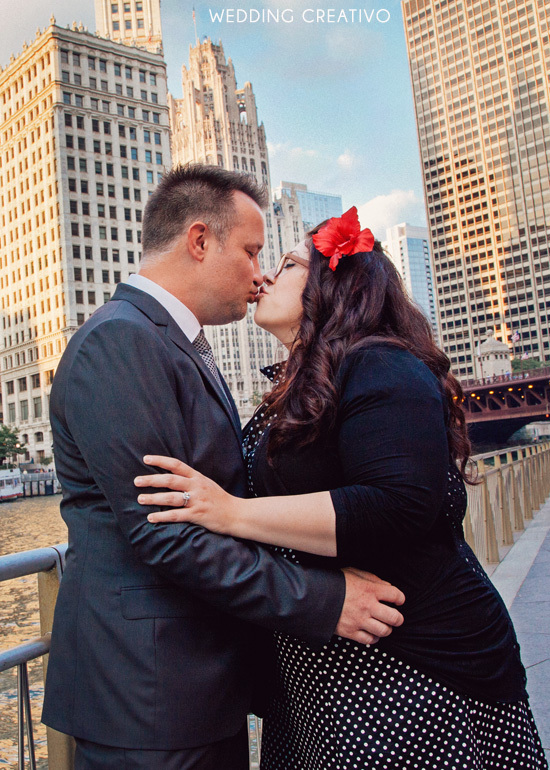 The groom's cool slate gray suit and the bride's fabulous polka-dot dress seemed to perfectly express their unique and creative personalities. 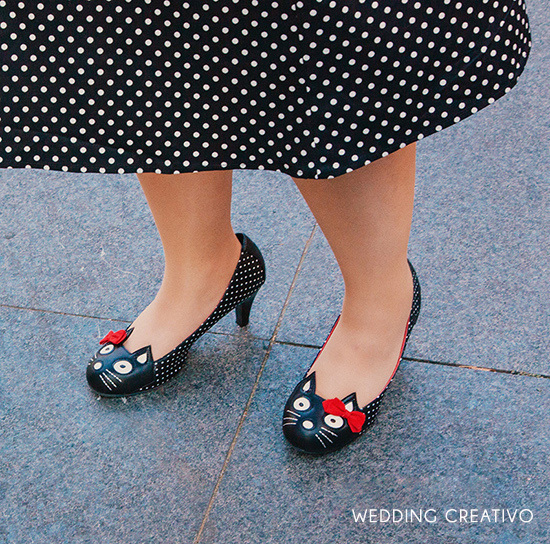 Also, we have to point out that the bride's cat shoes were by far the most impressive statement shoes we've seen all year! Congratulations! 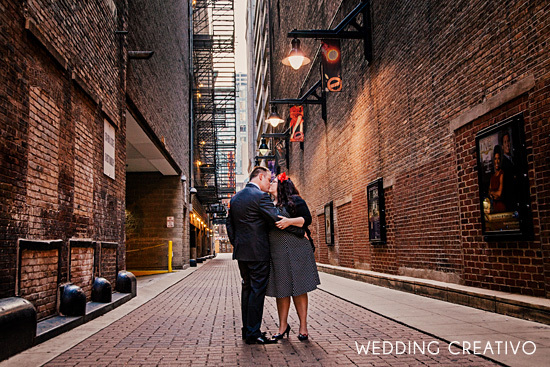 During warmer months (or unseasonably warm winter days) we offer outdoor elopements for couples, or groups up to 6, in the downtown Chicago area, or of course year-round at our venue Creativo Loft. 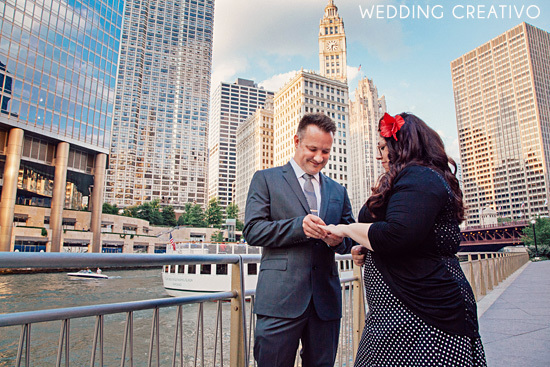 Looking for a great destination for a weekend elopement? 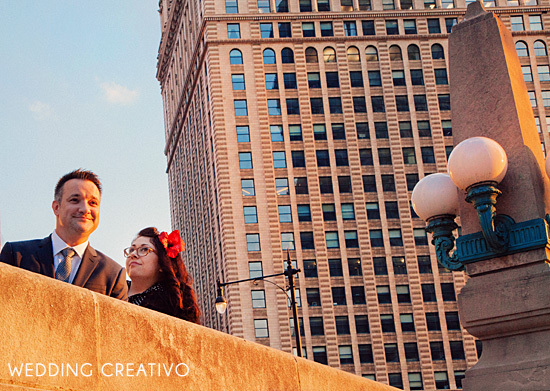 Chicago is a fantastic choice any time of year, even winter! 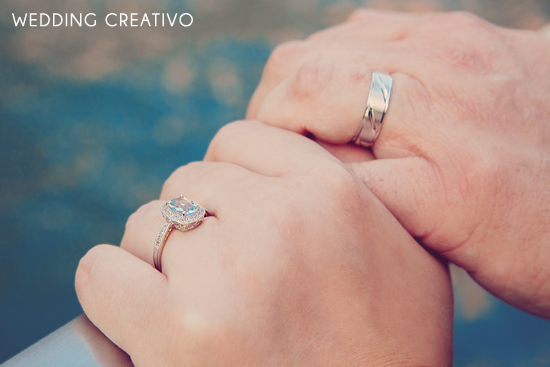 Please contact us at info@creativoloft.com to find out how we can help you plan an unforgettable elopement in our wonderful city.